If you have high cholesterol, your body may store the extra cholesterol in your arteries. Your arteries are blood vessels that carry blood from your heart to the rest of your body. Buildup of cholesterol in your arteries is known as plaque. Over time, plaque can become hard and make your arteries narrow. Large deposits of plaque can completely block an artery. Cholesterol plaques can also split open, leading to formation of a blood clot that blocks the flow of blood. Your liver produces cholesterol, but you also get cholesterol from food. Eating too many foods that are high in fat can increase your cholesterol level. 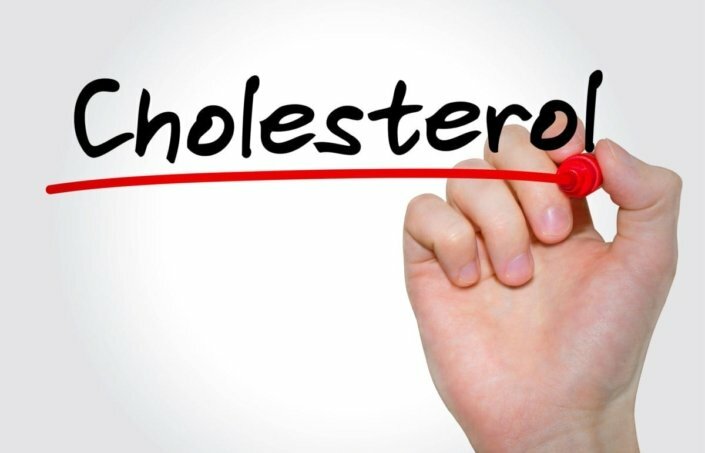 You family history also affects your cholesterol level. Research has shown that high cholesterol tends to run in families. If you have an immediate family member who has it, you could have it, too. You can’t tell if you have high cholesterol without having it checked. A simple blood test will reveal your cholesterol level. If you have high cholesterol, you may need to make some lifestyle changes. If you smoke, quit. Exercise regularly. If you’re overweight, losing just five to 10 pounds can help improve your cholesterol levels and your risk for heart disease. Make sure to eat plenty of fruits, vegetables, whole grains, and fish. What about medicine to lower cholesterol? Depending on your risk factors, your doctor may suggest medicine along with lifestyle changes. If you have high cholesterol, you are twice as likely to develop heart disease. That is why it is important to have your cholesterol levels checked, especially if you have a family history of heart disease. Working to decrease your LDL “bad cholesterol” through good diet, exercise, and medication can make a positive impact on your overall health.